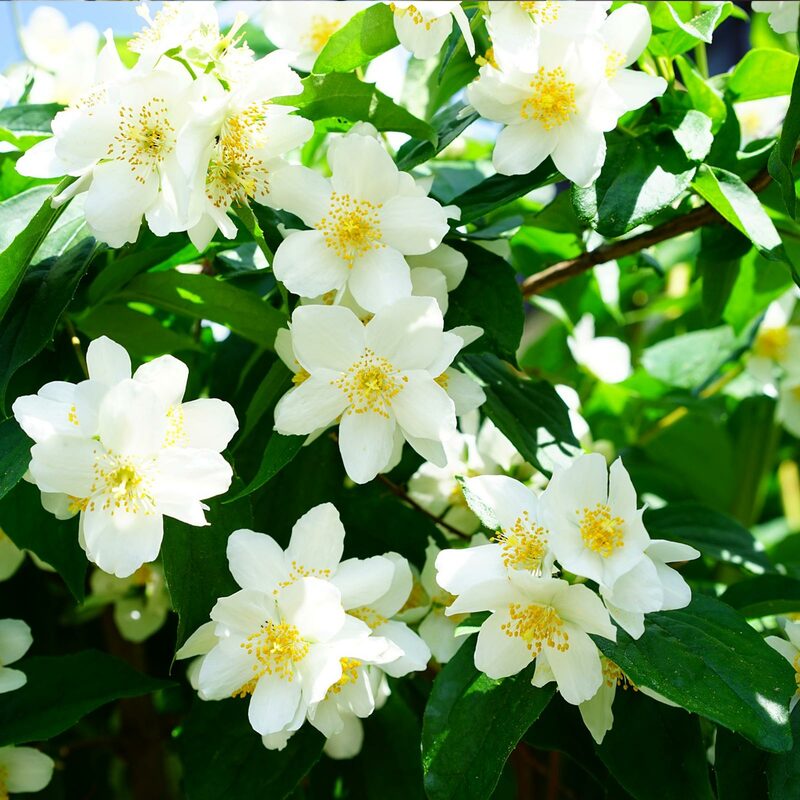 Mock Orange has really strongly scented even from quite some distance away, and like many white flowering plants, the scent is even stronger in the evening.  For other hedge plants with different coloured flowers or alternative fragrences, check out our flowering hedging and fragrant hedging departments. 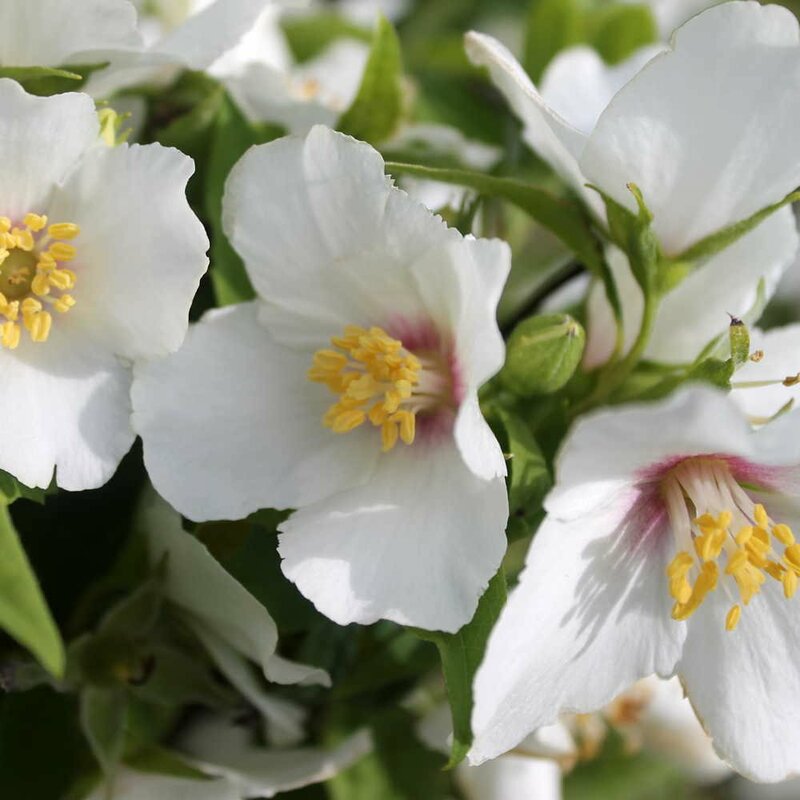 Philadelphus 'Belle Etoile' makes a wonderful informal billowing hedge as seen in our photograph. 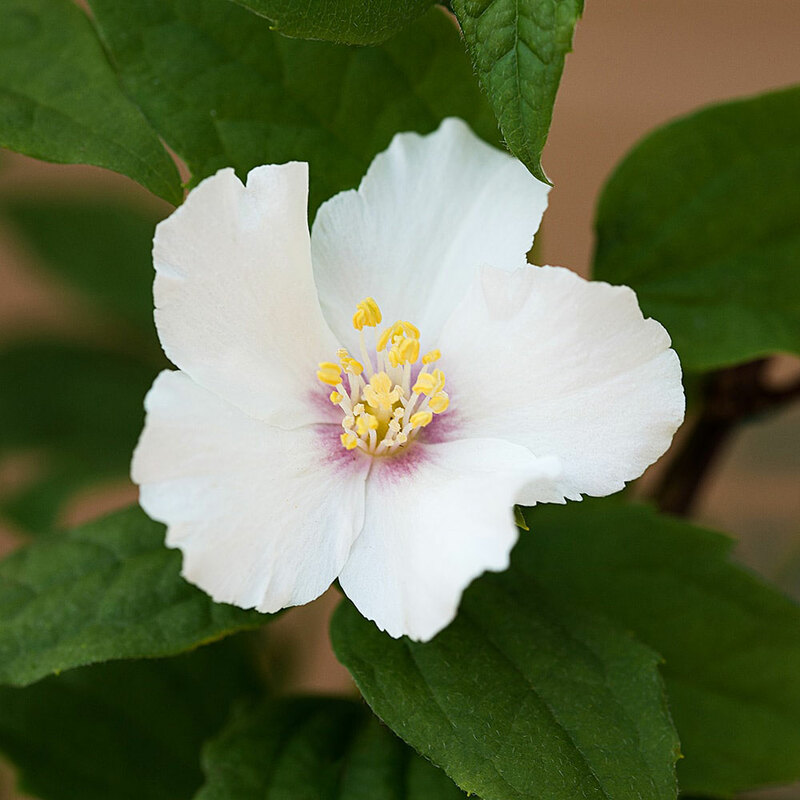 It is profuse flowering, with large white single flowers with purple centres, in June and July and often flowers for many weeks. 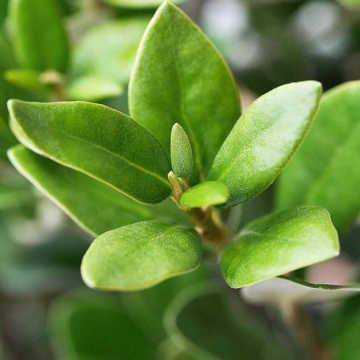 The arching branches are covered in mid-green foliage which is deciduous. 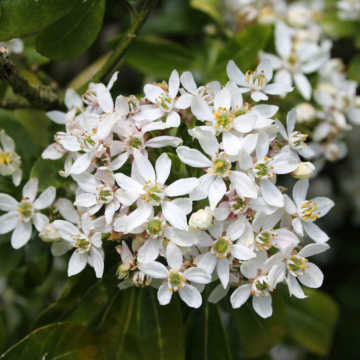 Philadephus hedging is good in full sun or partial shade (up to woodland shade level) and any soil other that wet soil. 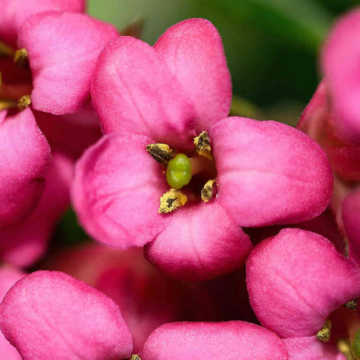 It is also good at the coast and in urban situations or poor soil. 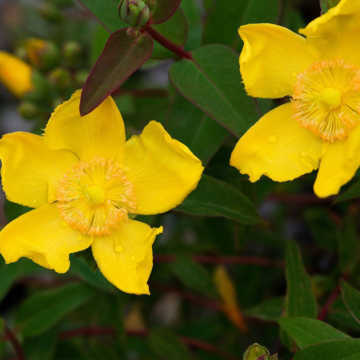 Philadephus 'Belle Etoile' is good as compact informal hedging at approx 1.2 to 1.5m. 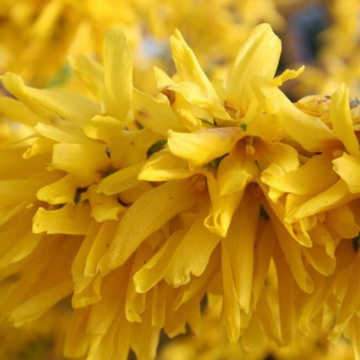 It just needs a tidy up once a year immediately after flowering by removing the spent flower stems in early Summer. 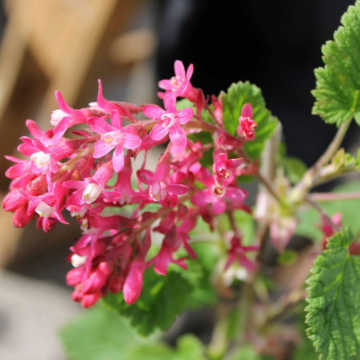 You can remove one third of the stems back to ground level to keep it from becoming too dense/taking up too much space.